The InterestPrint FLIP FLOP IS YOUE BEST CHOICE. A perfect gift idea for your family, friends and all oTher beloved ones with many of surprising designs. You can find a design and Theme for everybody and every interest in our Stores. They will be shocked by The superior quality of The item when They open The present. TPU straps and EVA outsole, tough enough to withstand daily wear and tear. Lightweight, non-slip, rapid rebound material absorbs shock. Easy to slip on and off. 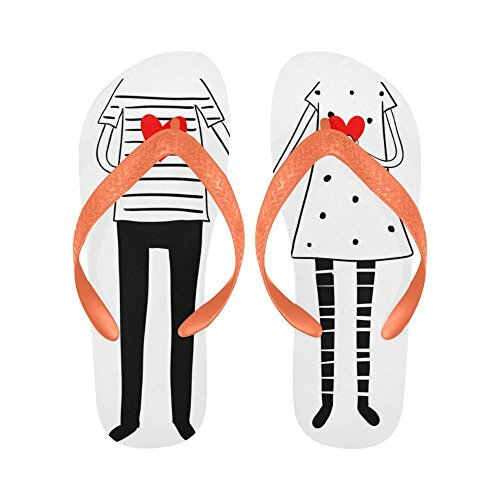 Vivid colors & clear image.Designed for both men and women, stylish and personalized..We can design the flip flop with your images,please feel free to contact us and tell us the detail.